We’ve already talked about some of the basics of Championship Manager 17 in our first guide for the game, mainly what you should do when starting out, choosing your first team, and selecting your starting lineup. But that’s just the tip of this iceberg as far as this soccer management simulator goes. 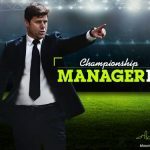 Championship Manager 17 is the latest mobile (Android and iOS) installment in this long-running series, developed for mobile by Square Enix, and it comes with thousands of real-life players and hundreds of teams from some of the world’s best-known association football leagues. And when it comes to the players on your team, you can train them, replace them with new players, and shuffle them in and out of your starting lineup, while minimizing morale issues and resting your best players from time to time. Those are just some of the considerations you need to make when managing your team, and we did touch on a few of them in our first guide. So join us for our second Championship Manager 17 guide as we now move on to match tactics and training and discuss them in depth. Once you’ve chosen a starting lineup for your current match, you will have the chance to issue instructions to your team. Make sure you’re taking the strengths of your team into account, as well as the weaknesses of your opponent. Don’t forget the strengths of the opposing team as well; for example, you might want to use a similarly fast-paced strategy against an attack-oriented team, with your goal to get them with the counter-attack. And when talking about micro-managing individual players and giving them the right instructions, you can focus on attacking to the left if your opponent’s right back is the weak link of their defense. You can also train your players right away prior to the start of a match, improving their shooting, passing, defense, and goalkeeping. This could give you an advantage against your opponent, and training takes effect immediately. But you should also expect to pay a lot of in-game money to train your players that way. It’s money well-spent at the end of the day, but still a lot of money, just to make your team better right ahead of the next game. 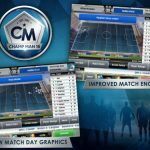 If you want to earn more money which you can use to buy better players, not to mention improve your manager rating, you’ll want to win more games. You can view your extra income and see if your rating has gone up, and how much it’s gone up by after completing a match. Gold coins are your common currency, while the green Champ Man cash is your premium currency, and you can also use that to hire staff members, buy new training methods, and do a variety of other things to improve your team. 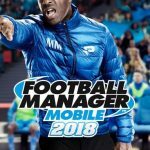 As for your manager rating, improving that statistic will likewise improve your rank, and bring you closer to winning a coaching badge, which would then allow you to manage higher-profile teams. Aside from winning games, you also have your objectives, which we had explained in brief in the last strategy guide. The board will keep setting harder and harder objectives as you go along, and you’ll always have to pay close attention to them and try your best to accomplish them. As the objectives get harder, you’ll earn more in-game currency, so always set your eye on them. Next up, let’s talk about the all-important process of training your players. Tap on the Training tab so you can check the five types of training; focus on the one that matches your desired play style, while at the same time addressing your team’s weakness or weaknesses. The training types include Chance Creation and Scoring, which you can consider if you’re having a hard time scoring goals, Possession, if you’re spending more time on defense than on attack, Rear Guard, which helps if you’re losing too many close games, and Pressing, which helps on your counter-attacking. It’s free to choose the double training option, and you should be activating this option each time you play. Just remember the catch, though, which is the fact that it’s a limited-time option. Also, switch around the training types as you progress through the season, so you can eventually have a well-rounded, versatile team. Let’s face it – it costs a lot of money to improve your team by playing the transfer market. So why not train your individual players instead? 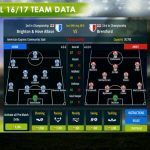 This is usually the more in expensive way of improving your team, and you can simply tap on the corresponding plus button to improve individual player attributes. This is going to cost you some gold coins. You can also use the top-right slider to mass-improve your players’ abilities, though that might not be a good idea, as it includes everyone on your team, even the goalkeepers; you just might end up training your keeper’s striking skills, and you know he’s not going to need those.